Correction: This story originally overstated NASA’s relationship with the Uber project. It has been updated to better reflect the agency’s involvement. We regret the error. Since the world we are currently living in is very much not the future we all dreamed of, Uber is trying to at least make a sliver of our flying car dreams come true. Uber chief product officer Jeff Holden announced today at the Web Summit conference in Lisbon that the ride-hailing company is working to create software that will help manage flying taxi routes, signing onto to NASA’s Unmanned Aircraft System Traffic Management (UTM) program earlier this year in pursuit of the project. This is not the first time we’re hearing of Uber’s flying car plans. In February, Uber hired veteran NASA engineer Mark Moore to build flying cars. At the time, Moore predicted flying cars in the skies within one to three years. 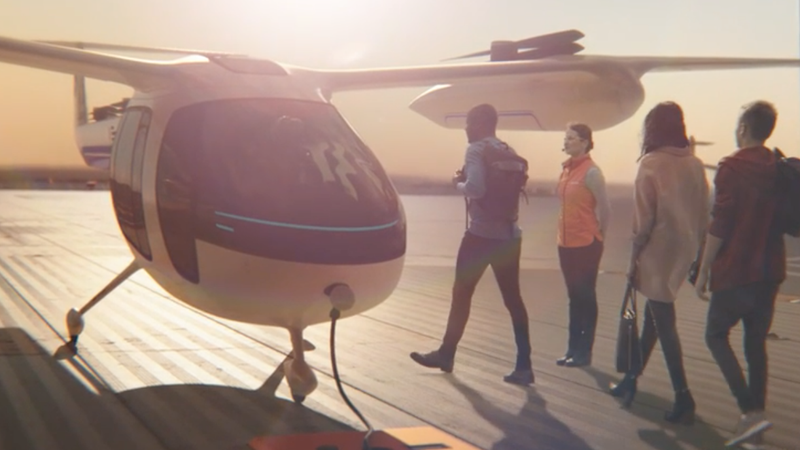 Two months later, Uber announced Uber Elevate, its ambitious plan to start testing flying taxis in Texas and Dubai by 2020. Today, Holden said Uber is still looking to start testing flying taxi services by 2020, first in the Dallas-Fort Worth area, then in Los Angeles—both of which are home to international airports. The announcement shows that Uber is focusing on the infrastructure and safety concerns of filling our skies with giant people-filled drones. As far as the taxis themselves, Uber has partnered with five companies that are developing vertical takeoff and landing (VTOL) vehicles. The company says it’s working with Sanstone Properties to build Uber skyports. Of course, merely participating in NASA’s UTM doesn’t mean there isn’t major turbulence ahead for Uber. After NASA, Uber, and dozens of other partner companies share their recommendations for drone regulations with the Federal Aviation Administration in 2019, the regulatory agency will draft its own rules. Uber released a video showing how it’s all supposed to work. The user open the Uber app, but instead of choosing the options that have been around for years—UberPOOL, UberX—they go straight for UberAIR, because it’s almost dinner time and they’re still far away from their home city. They find the nearest Uber Skyport on the roof of a building, scan their the QR code on their phone to pass through a turnstyle, and climb aboard the flying Uber. While Uber claims it’s planning to begin tests in about two years, we’ll remind you, as we’ve noted time and time again: The reality of flying cars always seems to be just two years away. In the meantime, it’s a convenient distraction from Uber’s barrage of bad press about systemic mismanagement and toxic corporate culture.